Psymin, as he is called, is the first foal out of our foundation mare, NN Chantilly Lace. He is a bit of an outcross, bringing in some highly desireable Russian lines into our program from his sire, MSA Magic Evening. Magic Evening has an impeccable pedigree. He is a Padrons Psyche son out of Evening Starr, by Muscastar. 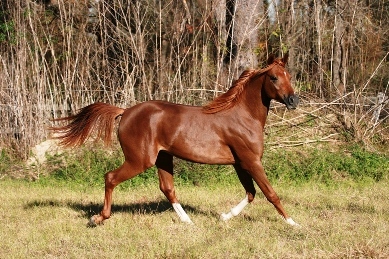 Padrons Psyche, as US Reserve National Champion Stallion, needs no introductions. Magic’s dam, Evening Starr, was named Reserve World Champion Mare at Salon du Cheval in France. Owned by Morning Star Arabians, Evening Starr has been bred to multiple US halter champion stallions during her breeding years at Michael Byatt Arabians and she consistently produces foals that have gone on to be champions throughout the US as well as in other countries such as Jordan and France. The first two years of his life, Psymin was very busy touring the Region 9 circuit. At only 5 1/2 months of age, shown at the side of his dam, Psymin was the 2006 Crabbet Alliance of Texas CMK Element Champion and Most Classic Colt. He participated in his very first Class A show at 7 months of age competing against and out placing senior stallions. At the 2007 January Jubilee in Katy, Texas, Psymin and his sire Magic went on to sweep the Sport Horse Stallions In Hand Championships. In July of 2008, Psymin reigned supreme at the Region 9 Sport Horse Championships where he picked up the Open Stallions In Hand Champion and the ATH Reserve Champion. Not to be outdone, NN Chantilly Lace garnered wins in 2009 at the Region 9 Sport Horse Championships - doing exactly what her son did the year before. She went Open Mare In Hand Champion and ATH Reserve Champion. Psymin won Top5 honors in the Stallions Open and ATH Sport Horse in Hand. Due to injury, Psymin was retired from the track. He has gone back to the show ring, earning yet more Sport Horse in Hand championships. In July of 2013, it was back to Region 9 Championships, where Psymin took Top5 Honors this time as a gelding in Sport Horse in Hand Open. Psymin and his ammy owner took Top5 honors in Sport Horse Under Saddle Open and ATR. 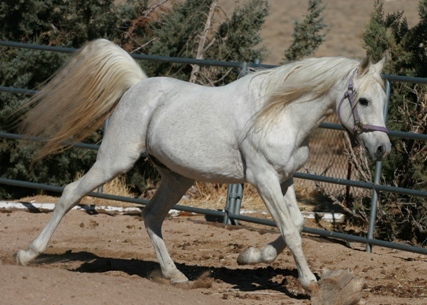 At this time, Psymin is getting ready to head off to El Paso, TX to beginning training under Joyner Arabians. He will be competeing at the 2014 Scottsdale Arabian Horse Show in the Sport Horse division. Trillomar was one of our retired "geriatric" stallions - except no one had informed him of that title. He was as fresh and prancy as a four year old. 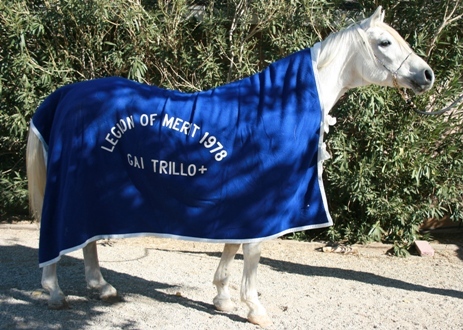 Trillomar won numerous class A championships in Western Pleasure. He was a Region 2 Top 5 AO Western Pleasure winner. Trillomar was by the Ferzon son, Gai Trillo+++/, whom we also owned. He was out of the double Azraff daughter, Rose of Azraff. This grand old man was the last remaining son of the great Ferzon. He was bred by the late Daniel C. Gainey. Trillo was the 1977 US National Pleasure Driving Champion. He was only four years old when he won that tile. He had numerous driving wins and Championships along with English Pleasure and Halter. Trillo was out of the Pharaff daughter, Morningstar Pha Geyma.